Thank you to all who have supported this year's Tom's Turkey Drive! There's still time to get involved. Local Rosauers stores are continuing to sell the pre-bagged Thanksgiving meals for $20. Special thanks to Chief Meteorologist Tom Sherry and KREM 2 and all event sponsors for rallying the community behind Tom's Turkey Drive. The 14th annual Tom's Turkey Drive is the premier turkey and holiday food drive in the Inland Northwest. Food and money raised provide area families with Thanksgiving meals and also help fight hunger throughout the holiday season and into the new year. Donations are first used to help families in need at Thanksgiving. Gifts also support Second Harvest's work to get free food to where it's needed most in the region. Hunger knows no season and nearly half of emergency food clients in Spokane are children. Last year, Tom's Turkey Drive was able to lend a hand by collecting 11,000 meals and more than $68,000. You can also make a secure online donation at 2-harvest.org. Valley Young People's Clinic, a group of pediatricians located in Spokane Valley and Liberty Lake, will join Providence Medical Group (PMG) effective January 1, 2014. The group includes six pediatricians and three nurse practitioners who will continue seeing patients at their two current office locations, in Spokane Valley at 1414 Vercler and in Liberty Lake at 23813 East Appleway. “Valley Young People's Clinic is a group of highly regarded pediatricians who have served the greater Spokane Valley area for more than 36 years. They have a strong reputation for providing compassion and quality care to the children they serve and their families," says Judy Felgenhauer, MD, clinical lead for PMG Pediatrics and Pediatric Hematologist/Oncologist. “In addition, Valley Young People's Clinic is a vital new partner for Sacred Heart Children's Hospital. The additional pediatricians round out the comprehensive scope of services at the Children's Hospital," continues Felgenhauer. Providence Medical Group is the physician services organization within Providence Health Care (PHC), owner of Providence Sacred Heart Medical Center & Children's Hospital and Providence Holy Family Hospital. Today, Providence Medical Group includes more than 500 physicians and advanced practitioners in Spokane and Stevens counties. In addition to primary care physicians, its medical staff includes a wide array of surgical subspecialists and medical specialists. At the recent annual Honoring Hometown Heroes Luncheon, the Inland Northwest American Red Cross named Craig Dias the recipient of the 2013 Spirit of the Red Cross Award. This award celebrates individuals that exemplifies the core values of the American Red Cross – selflessness, compassion and commitment to community by helping those in need. "We wanted to commend Craig for not only his positive force for economic and community development, but also his tireless commitment to active and retired members of our Armed Forces." says Terrance J. Pollard, Regional Executive Director of the Inland Northwest American Red Cross. "His efforts, while often behind-the scenes, have not gone unnoticed or unappreciated." Dias has been with Haskins Steel Co., Inc. since 2005 and was recently elevated to the position of President and General Manager. For additional information on Haskins Steel Co. or its products and services, please contact them at 800-541-6354 or visit their website at www.haskinssteelinc.com. You may send emails to cdias@haskinssteelinc.com. 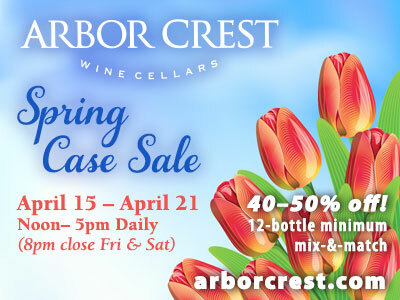 Enjoy an evening of wine, appetizers and mingling with friends and colleagues. Tickets are only $15. PRSA members will be entered into a special door prize drawing. Don't miss this fun, festive gathering! Sharon Wyckoff recently joined Numerica Credit Union's Wenatchee branch as the branch manager. She has 20 years of experience in the financial industry and all of those have been spent with Numerica. Most recently, she was the branch manager of Numerica's Five Mile branch in Spokane. Wyckoff has worked her way through a multitude of positions over her financial career. She started as a teller and then worked her way into Numerica's Member Service Center. Following that, she went back to the branches as a member service representative, member service officer, assistant branch manager and inevitably to branch manager. Numerica Credit Union currently has more than 95,000 members throughout Central and Eastern Washington and Northern Idaho and over $1 billion in assets. It offers a full line of financial products and services, including mortgages and business products. Membership is open to anyone who lives or works in the state of Washington or the Idaho Panhandle. Riverday School, at 1627 E. Trent, will be holding a textile drive in partnership with Gemtext. They are a Northwest-based sustainability company that repurposes, and recycles old clothing, shoes, stuffed animals, handbags, belts, blankets, or towels. This is a fundraiser for the school, as well as a community service project. They are paid by the poundage collected ad their goal is to fill the new shed that was delivered on Friday, November 22nd. Starting on Monday December 2nd you can bring in any unwanted textiles except for carpet (in any shape including torn and stained, shoes can be singles as well). To make it a little more fun for the kids they are making this a competition between the 3 classrooms. The classroom that gathers and donates the most poundage wise per child will win a gift bag filled with some goodies for each student in that class. The drive will end on December 20th with a pizza and ice cream party before dismissal for Winter Break! They will be keeping track of the pounds for the classroom and ask that you bring the donations in garbage bags. The website is www.Riverdayschool.org and the phone number is 509-326-6595. The Spokane Area Workforce Development Council recently hired Kyle West to fill the role of workforce program manager for the organization. West brings a varied background in program development, grant writing and community relations. Most recently West was the development manager at Mobius Spokane, and he previously operated his own business as a development consultant. He holds a bachelor's degree from Saint Norbert College in De Pere, Wisc. and a master's degree in health policy and administration from Washington State University. In his new role, West will oversee youth employment programs, manage multiple projects and grants and develop labor market information for the WDC. The Spokane Area Workforce Development Council leads a demand-driven workforce system in Spokane County. We make strategic public and private investments to ensure a skilled local workforce that meets the needs of our employers and creates a vibrant economy for the entire region. 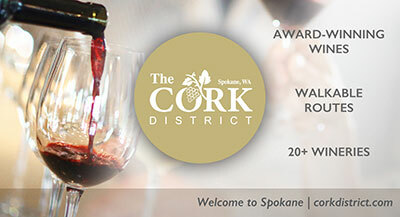 For more information, visit www.wdcspokane.com. Uncle's Games and Sante Restaurant and Charcuterie on the main floor of the Liberty Building at 402 West Main (at Washington) have expanded by approximately 1,800 square feet. Uncle's will use their additional 800 square foot space for more gaming aea and Sante has added a lounge. The second floor and the mezzanine of the building has also been remodeled. Ben Davis Construction, of Spokane did the work.